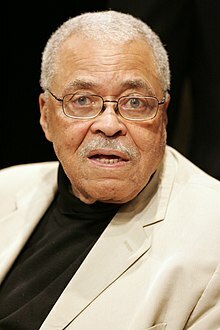 James Earl Jones (born January 17, 1931) is an American actor. His career has spanned more than 60 years, and he has been described as "one of America's most distinguished and versatile" actors and "one of the greatest actors in American history". Since his Broadway debut in 1957, Jones has won many awards, including a Tony Award for his role in The Great White Hope, which also earned him a Golden Globe Award and an Academy Award nomination for Best Actor in a Leading Role for the film version of the play. Jones has won three Emmy Awards, including two in the same year in 1990. He is also known for his voice roles as Darth Vader in the Star Wars film series and Mufasa in Disney's The Lion King, as well as many other film, stage and television roles. James Earl Jones was born in Arkabutla, Mississippi, on January 17, 1931, to Ruth (Williams) Jones (1911–1986), a teacher and maid, and Robert Earl Jones (1910–2006), a boxer, butler, and chauffeur who left the family shortly after James Earl's birth. He later became a stage and screen actor in New York and Hollywood. Jones and his father did not get to know each other until the 1950s but became reconciled then. His parents were African-American, and Jones has learned they also had Irish and Native American ancestry. From the age of five, Jones was raised by his maternal grandparents, John Henry and Maggie Williams, who had moved from Mississippi in the Great Migration and had a farm in Jackson, Michigan. Jones found the transition to living with his grandparents in Michigan traumatic, and developed a stutter so severe that he refused to speak. When his family moved to the more rural Brethren, Michigan, a teacher helped him overcome his stutter. He remained functionally mute for eight years until he entered high school. He credits his English teacher, Donald Crouch, who discovered he had a gift for writing poetry, with helping him end his silence. Crouch urged him to challenge his reluctance to speak. "I was a stutterer. I couldn't talk. So my first year of school was my first mute year, and then those mute years continued until I got to high school." After being educated at the Browning School for boys in his high school years and graduating as vice president of his class from Dickson Rural Agricultural School (now Brethren High School) in Brethren, Michigan, Jones attended the University of Michigan where he was initially a pre-med major. He joined the Reserve Officer Training Corps and excelled. He felt comfortable within the structure of the military environment and enjoyed the camaraderie of his fellow cadets in the Pershing Rifles Drill Team and Scabbard and Blade Honor Society. During the course of his studies, Jones discovered he was not cut out to be a doctor. Instead, he focused on drama at the University of Michigan School of Music, Theatre & Dance with the thought of doing something he enjoyed, before, he assumed, he would have to go off to fight in the Korean War. After four years of college, Jones graduated from the university in 1955. With the war intensifying in Korea, Jones expected to be deployed as soon as he received his commission as a second lieutenant. As he waited for his orders, he worked as a part-time stage crew hand at the Ramsdell Theatre in Manistee, Michigan, where he had earlier performed. Jones was commissioned in mid-1953, after the Korean War's end, and reported to Fort Benning to attend the Infantry Officers Basic Course. He attended Ranger School and received his Ranger Tab (although he said during an interview on the BBC's The One Show, screened on November 11, 2009, that he "washed out" of Ranger training). He was initially to report to Fort Leonard Wood, but his unit was instead sent to establish a cold weather training command at the former Camp Hale near Leadville, Colorado. His battalion became a training unit in the rugged terrain of the Rocky Mountains. Jones was promoted to first lieutenant prior to his discharge. He moved to New York, where he studied at the American Theatre Wing. He worked as a janitor to support himself. Jones began his acting career at the Ramsdell Theatre in Manistee, Michigan. In 1953, he was a stage carpenter. During the 1955–57 seasons, he was an actor and stage manager. He performed his first portrayal of Shakespeare's Othello in this theater in 1955. His early career also included an appearance in the ABC radio anthology series Theatre-Five. Jones is an accomplished stage actor; he has won Tony awards in 1969 for The Great White Hope and in 1987 for Fences. He has acted in many Shakespearean roles: Othello, King Lear, Oberon in A Midsummer Night's Dream, Abhorson in Measure for Measure, and Claudius in Hamlet. In 1973, Jones played Hickey on Broadway at the Circle in the Square Theater in a revival of "The Iceman Cometh." ("The Iceman Cometh." Internet Broadway Database.) Jones played Lennie on Broadway in the 1974 Brooks Atkinson Theatre production of the adaptation of John Steinbeck's novella, Of Mice and Men, with Kevin Conway as George and Pamela Blair as Curley's Wife. Jones received Kennedy Center Honors in 2002. On April 7, 2005, James Earl Jones and Leslie Uggams headed the cast in an African-American Broadway revival version of On Golden Pond, directed by Leonard Foglia and produced by Jeffrey Finn. In February 2008, he starred on Broadway as Big Daddy in a limited-run, all-African-American production of Tennessee Williams's Pulitzer Prize-winning drama Cat on a Hot Tin Roof, directed by Debbie Allen and mounted at the Broadhurst Theatre. In November 2009, James reprised the role of Big Daddy in Cat On A Hot Tin Roof at the Novello Theatre in London's West End. This production also stars Sanaa Lathan as Maggie, Phylicia Rashad as Big Mamma, and Adrian Lester as Brick. In October 2010, Jones returned to the Broadway stage in Alfred Uhry's Driving Miss Daisy along with Vanessa Redgrave at the Golden Theatre. In November 2011, Jones starred in Driving Miss Daisy in London's West End, and on November 12 received his honorary Oscar in front of the audience at the Wyndham's Theatre, which was presented to him by Ben Kingsley. In March 2012, Jones played the role of President Art Hockstader in Gore Vidal's The Best Man on Broadway at the Schoenfeld Theatre. Earning Jones a Tony nomination for Best Performance in a Lead Role in a Play. The play also starred Angela Lansbury, John Larroquette (as candidate William Russell), Candice Bergen, Eric McCormack (as candidate Senator Joseph Cantwell), Jefferson Mays, Michael McKean, and Kerry Butler, with direction by Michael Wilson. In 2013, Jones starred opposite Vanessa Redgrave in a production of Much Ado About Nothing directed by Mark Rylance at The Old Vic, London. In 2014, Jones played the role of Grandpa in the comedy You Can't Take it With You at the Longacre Theatre, Broadway. On September 23, 2015, Jones opened in a new revival of The Gin Game opposite Cicely Tyson, in the same venue where the play originally premiered (with Hume Cronyn and Jessica Tandy): the John Golden Theater. The play had a planned limited run of 16 weeks. In 1964, he starred in his first film in Stanley Kubrick's Dr. Strangelove or: How I Learned to Stop Worrying and Love the Bomb as a young and trim Lt. Lothar Zogg, the B-52 bombardier. In 1967, Jones appeared in The Comedians alongside Richard Burton, Elizabeth Taylor and Alex Guinness. Jones portrayed a surgeon and Haitian rebel leader. In 1970, Jones' starred in his first leading role The Great White Hope co-starring Jane Alexander. Jones' portrayal of boxer Jack Jefferson as he had previously originated on stage. 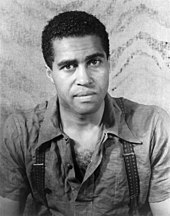 His performance was met with great critical acclaim earning him an Academy Award Nomination for Best Actor, making him the second African-American male performer (following Sidney Poitier) to receive a nomination. In The Man (1972) he starred as a senator who unexpectedly becomes the first African-American president of the United States. The film also starred Martin Balsam, and Burgess Meredith. In 1974, Jones co-starred with Diahann Carroll in the film Claudine, the story of a woman who raises her six children alone after two failed and two "almost" marriages. They both were nominated for Golden Globes for their performances. Carroll later went on to receive an Academy Award Nomination for Best Actress for her performance as well. Jones became a beloved character actor in film starring in Conan the Barbarian (1982), Matewan (1987), Coming to America (1988), Field of Dreams (1989), The Sandlot (1993), Cry, the Beloved Country (1995), The Hunt for Red October (1990), Patriot Games (1992) and Clear and Present Danger (1994), among many other roles. Although uncredited, Jones' voice is possibly heard as Vader at the conclusion of Star Wars: Episode III – Revenge of the Sith (2005). When specifically asked whether he had supplied the voice, possibly from a previous recording, Jones told Newsday: "You'd have to ask Lucas about that. I don't know." Jones reprised his voice role of Vader for the character's appearances in the animated TV series Star Wars Rebels, and the live-action film Rogue One: A Star Wars Story (2016). His other voice roles include Mufasa in the 1994 Disney film The Lion King and its direct-to-video sequel, The Lion King II: Simba's Pride. In February 2017, it was announced that Jones would again voice the character in the 2019 remake of The Lion King, which will be directed by Jon Favreau. In 1990, Jones performed voice work for The Simpsons first "Treehouse of Horror" Halloween special, in which he was the narrator for the Simpsons' version of Edgar Allan Poe's poem "The Raven". He also voiced the Emperor of the Night in Pinocchio and the Emperor of the Night and Ommadon in Flight of Dragons. Accompanied by the Morgan State University choir, Jones spoke the U.S. National Anthem before the 1993 Major League Baseball All-Star Game in Baltimore. In 1996, he recited the classic baseball poem "Casey at the Bat" with the Cincinnati Pops Orchestra, and in 2007 before a Philadelphia Phillies home game on June 1, 2007. He also has done the CNN tagline, "This is CNN", as well as "This is CNN International", and the opening for CNN's morning show New Day. Jones was also a longtime spokesman for Bell Atlantic and later Verizon. He also lent his voice to the opening for NBC's coverage of the 2000 and 2004 Summer Olympics; "the Big PI in the Sky" (God) in the computer game Under a Killing Moon; a Claymation film, The Creation; and several other guest spots on The Simpsons. Jones also lent his voice for a narrative part in the Adam Sandler comedy Click, released in June 2006. Jones narrated all 27 books of the New Testament in the audiobook James Earl Jones Reads the Bible. Jones starred in the critically acclaimed the television mini-series Roots: The Next Generations as the older version of author Alex Haley; and widowed police officer Neb Langston in the television program Under One Roof, for which he received an Emmy nomination. He also appeared in television and radio advertising for Verizon Business DSL and Verizon Online DSL from Verizon Communications. Jones appeared in the 1963–64 television season in an episode of ABC's drama series about college life, Channing, starring Jason Evers and Henry Jones. He appeared on the soap opera Guiding Light. He portrayed Thad Green on "Mathnet," a parody of Dragnet that appeared in the PBS program Square One Television. He has played lead characters on television in three series. First, he appeared on the short-lived CBS police drama Paris, which aired during autumn 1979. That show was notable as the first program on which Steven Bochco served as executive producer. The second show aired on ABC between 1990 and 1992, the first season being titled Gabriel's Fire and the second (after a format revision) Pros and Cons. In both formats of that show, Jones played a former policeman wrongly convicted of murder who, upon his release from prison, became a private eye. In 1995, Jones starred in Under One Roof as Neb Langston, a widowed African-American police officer sharing his home in Seattle with his daughter, his married son with his children, and Neb's newly adopted son. The show was a mid-season replacement and lasted only six weeks. From 1989 to 1993, Jones served as the host of the children's TV series Long Ago and Far Away. In 1998, Jones starred in the widely acclaimed syndicated program An American Moment (created by James R. Kirk and Ninth Wave Productions). Jones took over the role left by Charles Kuralt, upon Kuralt's death. In 2013-14, he appeared alongside Malcolm McDowell in a series of commercials for Sprint in which the two recited mundane phone and text-message conversations in a dramatic way. In 2015, Jones starred as the Chief Justice Caleb Thorne in the American drama series Agent X alongside actress Sharon Stone, Jeff Hephner, Jamey Sheridan, and others. The television series was aired by TNT from November 8 to December 27, 2015, running only one season and 10 episodes. Jones married American actress/singer Julienne Marie in 1968, whom he met while performing as Othello in 1964. They had no children, and divorced in 1972. In 1982, he married actress Cecilia Hart, with whom he had one child, son Flynn Earl Jones (born 1982). Hart died on October 16, 2016, after a year of living with ovarian cancer. In April 2016, Jones spoke publicly for the first time in nearly 20 years about his long-term health challenge with type 2 diabetes. He has been dealing with diabetes since the mid 1990s. While James Earl Jones is technically a winner of the EGOT (Emmy, Grammy, Oscar, Tony), Jones has yet to win a competitive Oscar, receiving only an Honorary one instead. ^ Reif, Carol; Barron, Sam (January 17, 2017). "Happy Birthday to Dutchess Resident James Earl Jones". Southwest Duchess Daily Voice. Retrieved October 25, 2018. ^ "Black Celebrities with White Partners". 19 May 2014. Retrieved 11 January 2015. ^ Gelt, Jessica. "Cecilia Hart, wife of James Earl Jones, has died - Los Angeles Times". latimes.com. Retrieved November 3, 2018. ^ "Cecilia Hart, Actress and Wife of James Earl Jones, Dies at 68". ^ a b Marx, Rebecca Flint. "James Earl Jones Biography". All Movie Guide. Retrieved April 12, 2011. ^ a b Sperling, Nicole; Susan King (November 12, 2011). "Oprah shines, Ratner controversy fades at honorary Oscars gala". LA Times.com. Retrieved November 14, 2011. ^ Hornaday, Ann (September 25, 2014). "James Earl Jones: A voice for the ages, aging gracefully" – via washingtonpost.com. ^ Moore, Caitlin (September 25, 2014). "James Earl Jones might have the most recognizable voice in film and television" – via washingtonpost.com. ^ "Voice Arts Awards". sovas. Retrieved October 9, 2016. ^ "Harvard awards 10 honorary degrees". Retrieved May 26, 2017. ^ a b "James Earl Jones Biography (1931–)". FilmReference.com. Retrieved February 20, 2008. ^ "James Earl Jones Biography (1931–)". Film Reference. Retrieved February 20, 2008. ^ a b c d e f g Bandler, Michael J. (March 2008). "This is James Earl Jones". NWA World Traveler. Northwest Airlines. Archived from the original on March 20, 2008. Retrieved April 3, 2008. ^ Levesque, Carl (August 1, 2002). "Unconventional wisdom: James Earl Jones speaks out". Association Management. The Gale Group. Archived from the original on November 18, 2017. Retrieved November 18, 2017. ^ Davis, Dorothy (February 2005). "Speaking with James Earl Jones". Education Update. Archived from the original on October 20, 2017. Retrieved February 20, 2008. ^ "James Earl Jones Biography and Interview – Academy of Achievement". www.achievement.org. American Academy of Achievement. ^ Davies-Cole, Andrew (February 18, 2010). "The daddy of them all". Herald Scotland. Retrieved November 5, 2011. ^ Ensian (Yearbook of the University of Michigan), p. 156 (1952). ^ "Notable Alumni". University of Michigan. Archived from the original on February 26, 2012. Retrieved February 27, 2012. ^ "Soldiers to Celebrities: James Earl Jones – U.S. Army". Hollywood Hired Guns. Hired Guns Productions. January 20, 2008. Archived from the original on December 27, 2008. Retrieved February 20, 2008. ^ "James Earl Jones talks with Studs Terkel on WFMT; 1968/02". Studs Terkel Radio Archive. February 1968. Archived from the original on October 1, 2016. Retrieved September 27, 2016. ^ "Ramsdell Theatre History". Ramsdell-theater.org. Archived from the original on January 4, 2009. Retrieved March 1, 2011. ^ "Theater Five - Single Episodes". Internet Archive. ^ "James Earl Jones and Vanessa Redgrave to Star in Broadway's Driving Miss Daisy". Playbill. Archived from the original on August 3, 2010. Retrieved March 1, 2011. ^ "Actor James Earl Jones receives Oscar in London", BBC News. Retrieved November 13, 2011. ^ "Gore Vidal's The Best Man" at IBDB. ^ Gans, Andrew and Jones, Kenneth." 'The Best Man', Tony Nominee as Best Revival of a Play, Extends Booking a Second Time" Archived September 4, 2012, at the Wayback Machine Playbill.com, May 17, 2012. ^ Trueman, Matt (December 4, 2012). "Vanessa Redgrave and James Earl Jones to reunite for Old Vic's Much Ado". The Guardian. London. ^ "The Gin Game at John Golden Theater". New York City Theater. Closed January 10, 2016. ^ "The Green force". BBC News. February 14, 2006. Retrieved March 1, 2011. ^ a b c Lovece, Frank (March 12, 2008). "Fast Chat: James Earl Jones". Newsday. New York. Archived from the original on July 28, 2012. Retrieved March 1, 2011. ^ Sragow, Michael (February 6, 1997). "Isn't That Spacial? Back to the future with 'Star Wars: The Special Edition'". Phoenix New Times. Phoenix, Arizona. Archived from the original on January 31, 2015. Retrieved January 31, 2015. ^ "James Earl Jones to Voice Darth Vader in Star Wars: Rebels' Premiere on ABC!" Star Wars Episode VII News, October 9, 2014. ^ "James Earl Jones confirmed as Darth Vader" Blastr, April 21, 2015. ^ Skrebels, Joe (June 23, 2016). "Rogue One's Darth Vader Will Be Played by James Earl Jones and "A Variety of Large-Framed Performers"". ^ Couch, Aaron (February 17, 2017). "'Lion King' Remake Casts Donald Glover as Simba, James Earl Jones as Mufasa". The Hollywood Reporter. ^ "Actor James Earl Jones smiles before reading..." Townhall.com. Reuters. Archived from the original on January 31, 2015. Retrieved January 31, 2015. ^ "James Earl Jones Reads The New Testament - Digital Edition". Archived from the original on June 27, 2014. ^ James Earl Jones – Awards & Nominations, Television Academy. ^ Tim Nudd, "Inside James Earl Jones and Malcolm McDowell's Dramatic Readings for Sprint", AdWeek, December 16, 2013. ^ "Sprint Commercial (2013 - 2014)". popisms.com. ^ "As He Readies For His Latest Broadway Return, We Celebrate Over 50 Years of James Earl Jones Onstage - Playbill". ^ Jones, James Earl. Encyclopedia of African American History: 5-Volume Set. Oxford University Press. pp. 53–54. ISBN 9780195167795. ^ "James Earl Jones: I'll just keep going until I fall over". Metro News. Retrieved March 12, 2014. ^ "James Earl Jones Biography: Film Actor, Theater Actor, Television Actor (1931–)". Biography.com (FYI / A&E Networks). Archived from the original on April 2, 2016. Retrieved April 26, 2016. ^ Barnes, Mike (October 22, 2016). "Cecilia Hart, Actress and Wife of James Earl Jones, Dies at 68". The Hollywood Reporter. Archived from the original on October 22, 2016. Retrieved October 22, 2016. ^ "Learn more about James Earl Jones and INVOKANA®". February 17, 2016. Archived from the original on August 16, 2016. Retrieved July 23, 2016. ^ "Broadway's Best". New York Times. March 5, 1985. Retrieved February 6, 2014. ^ "Theater Hall of Fame members". Retrieved February 6, 2014. ^ About: "Annie Glenn", John and Annie Glenn Museum. ^ Adam Hetrick, "James Earl Jones Receives O'Neill Center's Monte Cristo Award May 9", Playbill, May 9, 2011. Retrieved January 20, 2011. ^ Carrie Rickey, "Actor James Earl Jones wins Marian Anderson Award", Philly.com, June 5, 2012. Retrieved January 20, 2015. ^ "James Earl Jones to Receive Philadelphia's 2012 Marian Anderson Award", Broadway World, June 5, 2012. Retrieved January 20, 2015. ^ "Harvard awards 10 honorary degrees at 366th Commencement", Harvard Gazette, May 25, 2017. Retrieved May 30, 2017.